A new generation willing to talk about it and fight for it in a new way. When Kristina Wong’s mother told her if anyone finds out she went to therapy she would never be able to get a job, it became crystal clear just how taboo discussions of mental health were in her family. “That made it clear that my joy had a monetary value, and it was that shameful to go about seeking help or even talking to someone about your problems,” Wong, a third-generation Chinese-American, told “GMA.” That mentality reflects a broader sentiment within the Asian American community. (K. Levis ) A still from Kristina Wong’s “Boss Lady” music video shot in Gulu, Uganda. While Asian-Americans have a lower reported rate of psychiatric disorders and suicide compared to Caucasians within the U.S., they are three times less likely to seek mental health help, according to the data collected by the National Latino and Asian American Study. There are a number of reasons why, according to experts. Discussing mental health concerns is “taboo” in a variety of Asian-American communities where seeking help is stigmatized, explained Koko Nishi, a licensed psychologist on the counseling staff at San Diego State University. As a result, many Asian Americans often dismiss, deny or neglect their symptoms. The idea that a person can be hampered by something that can’t be seen by the naked eye is unacceptable in some Asian cultures, Nishi said. “There’s a lot of shame involved,” especially among elderly Asian-Americans who are afraid of losing face, said Wesley Mukoyama, a clinical social worker and former director for Yu Ai Kai, a senior center for Japanese-Americans. Even though Asian-Americans, who came as immigrants and refugees and are at higher risk of depression and suicide due to trauma from their past, when they do seek help, they often report the physical symptoms that are results of psychological problems, according to Nishi. That’s why organizations like Yu Ai Kai focus on less traditional treatments, ones that don’t require residents to directly address their feelings, Mukoyama said. With 59 percent of all Asian-Americans born in a different country, according to Pew, language barriers, cultural stigma and lack of understanding of mental health resources are factors that contribute to the issue as well. Many come from countries without accessible mental health care and in certain cultures some of the terms for mental health don’t even exist in the language, said Nishi. Years ago, Paras said she was in an emotionally and physically abusive relationship and was sexually assaulted, leading to depression and symptoms of post-traumatic stress disorder. Paras said she felt more comfortable calling friends, or a crisis hotline, than she did approaching her own parents, who emigrated from the Philippines. (Genevieve Marie) Actress Tess Paras. “I remember my parents saying, ‘We know you need to go to therapy. We will pay for it, but we’re not comfortable talking about it at home,’” Paras recalled. There is a deafening silence in her family surrounding the subject of mental health. It’s a silence Emily Wu Truong also knew all too well. Growing up, Truong, a Taiwanese-American, started to experience feelings of depression and isolation when her family moved from Arkansas to California. She wasn’t able to articulate her feelings as she was taught sharing problems will bring shame to oneself and one’s family. Throughout the years, she continued to keep her struggles and emotions bottled up well into adulthood. Truong was eventually diagnosed with depression and anxiety, and in 2013 she had a mental breakdown. After finally finding a center offering affordable therapy options, she began to work with organizations like the National Alliance on Mental Illness, Recovery International and Each Mind Matters as a public speaker to raise awareness. (Courtesy Emily Wu Truong) Emily Wu Truong, speaks at a National Alliance on Mental Illness presentation at Temple City Library in Temple City, Calif.
For Wong, she first started feeling depressed when she was pressured to excel in Chinese school and carried guilt because she couldn’t communicate with her grandparents. Her grandparents, who supported her family, spent all their time working in a butcher shop and raised the family to deal with things “by not talking about it,” she said. She hid her feelings from her family for years before seeking out a therapist, all the while isolating herself from her Chinese-American community because people shunned talk about anything that might be perceived as weakness. 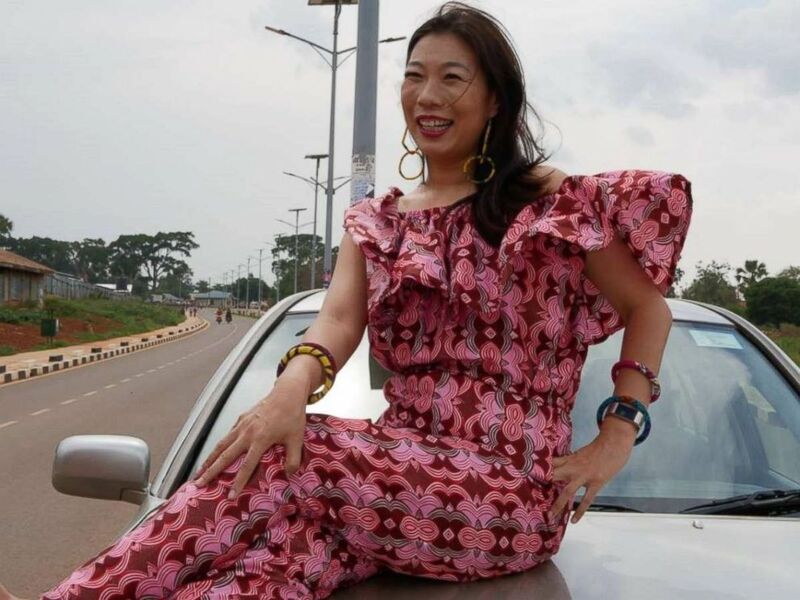 Now as a comedian and performance artist, Wong decided to take mental health right to the stage. In her one woman comedy show, “Wong Flew over the Cuckoo’s Nest,” which she toured for eight years, Wong explored the high rates of depression and suicide among Asian-American women. In the show, Wong used the “dramatic arc of fiction” to point out the danger in the fictional narrative Asian American women are fed about what their lives are supposed to look like. After her character failed to save these women, she has a mental breakdown on stage. Paras also dove into her experience with mental health, but through a different comedic vehicle - music. After Paras ended a relationship with someone who was also going through depression, one of her writing partners from Quick and Funny Musicals suggested using her breakup as inspiration for their new music video, which had to be “Frozen”-themed. In the video, they said they tried to make fun of certain aspects of depression “in order to have a laugh” and open up a conversation, Paras said. “It really means a lot when I post this video then I get some Filipina teens who are experiencing this and saying ‘I needed this’ I’m not able to talk about this at home either,’” Paras recalled. Wong recounted similar responses to her show when people who have also struggled with depression and attempts at suicide reached out to her. “I was just like, 'where were you when I was in high school?' Where were any of us? Why do we have to sit on our pain and try to save face?” Wong exclaimed. A reason why many Asian-Americans feel the need to “save face” and avoid confronting their mental illness is possibly due in part to the misperception that Asian-Americans do not have such needs, Nishi told “Good Morning America” -- a fallacy fueled by the model minority myth. It’s a myth that perpetuates the image that Asian-Americans represent the positive qualities that all immigrants or minorities should have in order to assimilate. Having lived the unrealistic social and familial expectations, Paras is well aware of the stereotype. And that’s why Truong, who often dresses head-to-toe in lime green, a color for mental health awareness, works hard to dismantle those myths. 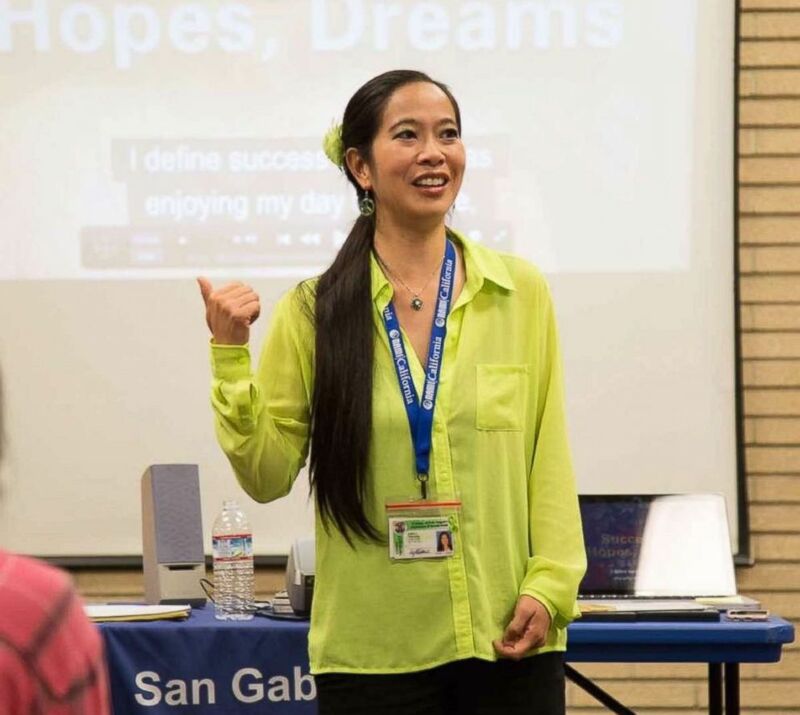 Over the past five years, Truong has spoken in numerous venues and at events, helped facilitate mental health programs and last year pushed to establish May 10 as as Asian Pacific American Mental Health Day in Los Angeles County. She saw this being done in other cities and by asking for recognition in her own community she hoped to shine a light on people’s struggles but more importantly their resilience. “I want to share my story and let people know they’re not alone,” Truong said. Through her experience working at various colleges, Nishi has seen a shift towards awareness of mental health resources among young Asian-Americans. She also noticed many students “are going against the grain of what they were taught growing up about mental wellness” and are focusing more on self-care. Being able to talk about these issues is the first step, Paras said, as she and others like Wong and Truong continue to incorporate their stories in their creative work to bring awareness and combat stigma surrounding mental health. “The more we talk about this issue the more we can normalize this topic the more we talk about it then it’s not such a scary topic to talk about,” Truong said.